Manufacturers and distributors use a variety of packaging to ensure that the goods arrive safely and undamaged. In addition to these transport packaging, there are the commercial sales packaging. These are sales packaging of products that are purchased and processed by large-scale and industrial companies (no equivalent sources of waste generation). Although transport and commercial packaging do not have to be participated in the dual system, the manufacturer or distributor must always ensure proper return and disposal. Focus on your core business. With BELLANDTransport / Gewerbe we support you comprehensively. 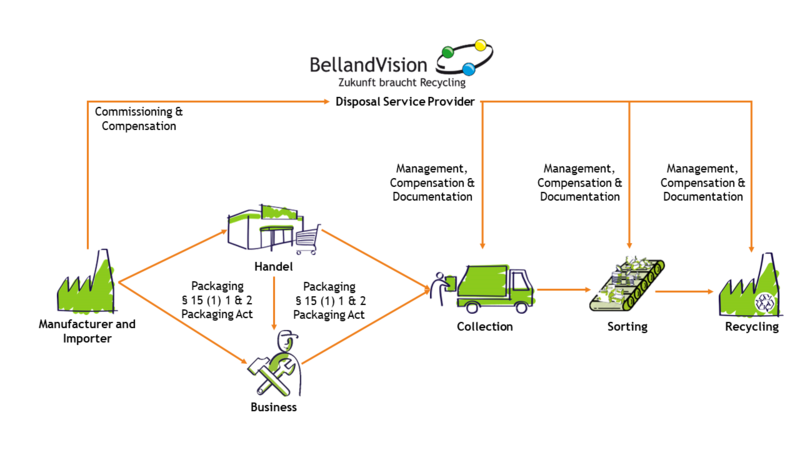 BellandVision organizes the collection of packaging, ensures sustainable recycling and takes care of proper documentation.